Around 11pm on October 8th, 2017, Pierre Birebent was abruptly woken up from a deep sleep by his daughter saying that his phone had been ringing several times… in his half-dazed state, Pierre looked at his phone and saw messages that said there was a fire… he quickly woke up and immediately jumped in his truck and started driving down the road with a fierce intensity envisioning the worst case scenario as panic furiously pumped through his veins and heart. 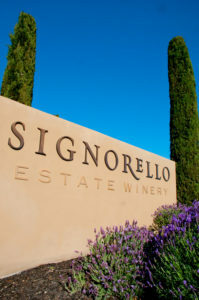 Pierre is the winemaker and vineyard manager for Signorello Estate and the messages on his phone were left by the owner of the estate, Ray Signorello Jr., who was in Canada at the time. Pierre was telling us this story on November 11th, just a little over a month after it happened, at the Wine Bloggers Conference taking place in Santa Rosa in Sonoma County, California. The conference had been planned for over a year, but when one of the worst periods of California wildfires (from October 8th until the 30th of October) hit a significant part of wine country (according to Cal Fire: over 245,000 acres were burned, 100,000 people were forced to evacuate, estimated 8,900 structures destroyed, and 43 lives lost), many of us planning on attending the conference thought it would be cancelled. But word got back from the various wine participating counties that they needed us to come to the conference and talk about their wines, their tourism (most of the tourist sections were untouched) and to inspire people around the US to support them. From my perspective, I had overwhelming anxiety that I felt like I needed to go out to Santa Rosa, Sonoma County, (4,658 homes were destroyed in the wildfires) as soon as possible… I didn’t know how I could help out, but as I saw all the people I knew in the wine industry in California talk about the merciless infernos coming and going, swiftly changing direction, many having to evacuate and re-evacuate many times, some losing everything, watching it all play out on Facebook while the national news barely talked about it, I felt like I needed to be there and be prepared to do whatever they needed me to do. It was the same feeling I had living in downtown Manhattan during 9/11. I did not want to flee, my overwhelming pain made me want me to stay and find some semblance of grounding and peace by being of some use in my home of New York City… of course it took many years to find our grounding as a city. Pierre is no stranger to devastating events that can alter the rest of a person’s life. 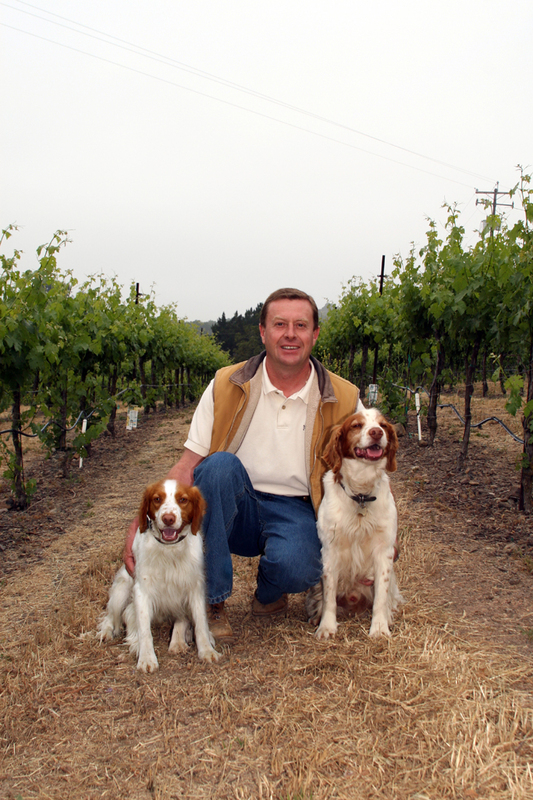 Before coming to Napa, he lived with his family, sixth-generation vintners, in Algeria. But when he was only 2 years old, his mother fled with him to Spain when the Algerian War broke out. Pierre’s father, Paul, stayed behind to look after their vineyards until one day he and a worker were attacked; Paul escaped but the worker who had warned him of the attack from the distance never made it out alive. Then the Birebents picked up the pieces of their lives and were able to pool their resources to buy undeveloped land in Corsica; after they built roads and prepped the land for vineyards they were able to rebuild a family winery and legacy for future generations. Pierre, who knew that he would not have much free time after he took on the responsibility of his family farm in Corsica, decided to spend his youth studying at the Montpellier University in France and working in Napa to gain more knowledge and experience to bring his family’s wines to the next level of quality. Unfortunately, tragedy would hit his family again in Corsica when Pierre’s father, Paul, was attacked by people in masks and bound with rope with his vineyard crew, as his house, his winery and farm equipment were burned in front of him. The toxic emotion of envy had eaten away at Corsican locals who turned to terrorism to take out their rage on those who were successful and not considered real Corsicans. Everyone escaped with their lives but Pierre, who was in Napa at the time, decided to stay in Napa Valley as there was no future with his family winery; he eventually settled at Signorello Estate and lives in St Helena with his wife, Nathalie, and his children, Paul and Isabelle; Pierre’s parents retired to the Riviera. Pierre was able to make it to his crush pad and stainless steel tanks that were in the midst of fermenting his grapes – there was a mesh top above the tank to give it shade and he hosed them both down, spending 15 minutes soaking the mesh top. It finally got to the point where he had to get back a few hundreds yards away (so the smoke didn’t kill him) and in Pierre’s words he just, “watched what happened”. Pierre’s head slumped down and his voice broke as it lowered into his gut as he sat there on the panel struggling against his intense emotions to get the words out. Pierre then said that he called the owner who was in Canada so he could let him know what was going on “and that was it”… a profound silence hit the room as Pierre took a few breaths. It took 3 days before he was able to visit the property again since there was a police blockade; the vineyards and cellar were untouched, the wine which was tested (by a lab) was not affected by smoke taint, but their main building, tasting room and offices had burnt to the ground. I remembering sitting there, as close as I could to the panelists, each one taking their turn to talk about their own personal experience as Pierre did… there were two sessions back to back, and since I had taken non-stop back to back sessions, I needed to go up to my hotel room to get some work done and call my husband. The stories were heavily weighing on me, and although I have already written a couple of posts about the conference since that time, it has taken me this long to write this post, the most important one, in my opinion, as I was waiting to see how it worked out for Pierre and Signorello. Wine has been a big part of my life, and I love it deeply because it is intertwined with the human condition, but there are sides of it I can’t stand, such as some people’s obsession with the superficial. As I came back down from my hotel room after getting some work done and talking to my love, still processing the trauma that so many people had shared during the last two sessions, I had a run-in with another conference attendee as I walked through the front lobby. This man asked me where I had been and, since I had already had a previous conversation with this acquaintance about having to go to my room to work, I replied, “I told you, I needed to get some work done.” Well, at that point, he started to say that I was probably off drinking some fancy wines in one of the off-schedule parties because I seemed like the type of person who would do that and then proceeded to give me a hard time for not hanging out to go drinking with him… I’ll remind you, again, this is someone I barely knew. Funnily enough, I have never been to one of those parties in the hotel rooms, not that I have anything against them, but I was there for the sessions and the one-on-one heart to heart talks I have with people who are kind enough to share their journeys with me. That man I barely knew got ugly with me and I felt like I was verbally punched in the gut… don’t get me wrong, there was a lot of good at the conference, but then there is the bad because it is all part of the world of wine… Looking back, it was interesting how in such a short time of a few hours, I had experienced the extremes of the wine world watching some people coming together as a community during traumatic events and others becoming petty in their narcissistic desires, even in the face of others losing everything. 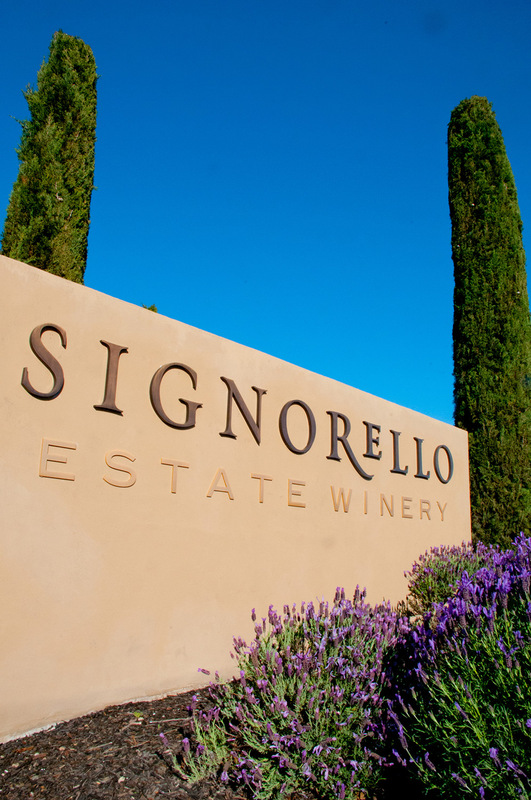 I have recently read that Signorello Estate opened a modular-unit tasting room so they could resume giving wine tastings to visitors. The owner, Ray Signorello Jr., made a commitment to rebuild 3 days after Signorello burned down, but at the time, it still seemed to those of us on the outside that there was a question mark if they would be able to continue… but luckily, despite being given some fierce blows, they have come back with Pierre at the helm. California is still getting some tough hits by wildfires; the only way they can keep continuing, keeping an important part of American wine culture alive, is if those of us who do believe in them support them with our purchases, with our visits, and with our deep compassion and empathy for the people who are struggling to keep the legacy of great California wines alive. As much as there were times when I wanted to walk away from the wine world because of nasty comments from people who barely knew me, or narcissism that makes one not care that a bunch of people right in front of them just lost their homes and means to support themselves, I sometimes run into a beautiful person that makes me believe that there is still lots of humanity and love in the wine world… and that is all we need, to have someone make us believe when we are losing hope. This entry was posted in Uncategorized and tagged #WBC17, Dame Wine, Napa Valley, Red Wine, USA, White Wine, Wine, Wine Bloggers Conference, Wine Tasting, Winetasting. Bookmark the permalink.